United Nations (United States) (AFP) - The UN peace envoy for Syria on Friday proposed a plan for Al-Qaeda-linked fighters in Syria's Idlib province to pull back from cities and other civilian-populated areas to avert a bloodbath in the rebel-held province. De Mistura proposed that a deadline be set for all fighters -- in particular the Al-Qaeda-linked Nusra Front -- to retreat from populated areas and that no military attacks would be launched during the pullback. "This would apply in particular for Al-Nusra, who should be notified by the guarantors, in particular Turkey, which still has the capacity to send messages," he said. A Security Council diplomat, speaking on condition of anonymity, expressed skepticism, saying it was unclear where the fighters would go and whether Syria could be persuaded to halt military action. "There are challenges," he said. 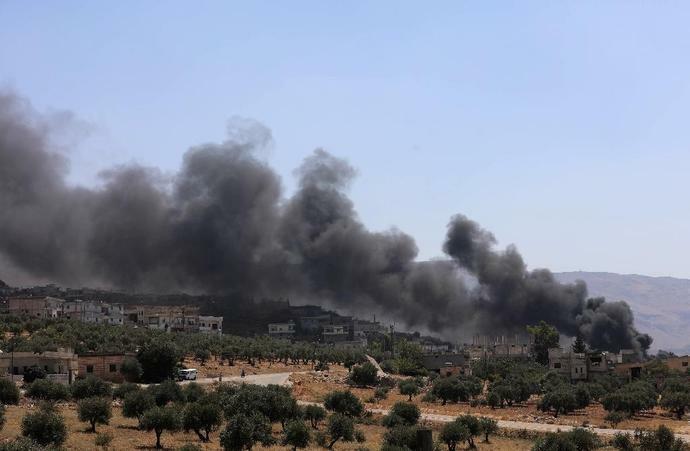 Syrian civilians are "worn out by extremist tyranny" in Idlib, said Nebenzia, adding that armed groups linked to Al-Qaeda remain "a legitimate target for liquidation." "There are more babies in Idlib than there are terrorists," said British Ambassador Karen Pierce. "I think this should give those engaged in military action pause for thought." US Ambassador Nikki Haley warned: "If Assad, Russia, and Iran continue, the consequences will be dire." "Syria is once again at the edge of an abyss," said French Ambassador Francois Delattre. De Mistura is to hold talks in Geneva next week with Russia, Iran and Turkey in Geneva, the three countries of the Astana process, a track of talks on Syria's war that has largely eclipsed the UN-led peace process. More than 350,000 people have been killed in Syria's seven-year conflict.